Simple to use, easy to customize, and great support. Our WordPress themes don't get in your way. That means you're not spending hours with confusing options or complex layouts when you're launching your next website. Need a hand? The team at Slocum Themes is here to help. Our themes are designed and developed using WordPress.org theme standards. Easy to use option pages and customization using the WordPress customizer feature. We make it easy to customize your theme without the bloat. Launching a blog, e-commerce store, or marketing site on WordPress? We know what you're going through and learning the WordPress way shouldn't hold you back. Each theme purchase comes with 1 year of Slocum support. We're here to help. 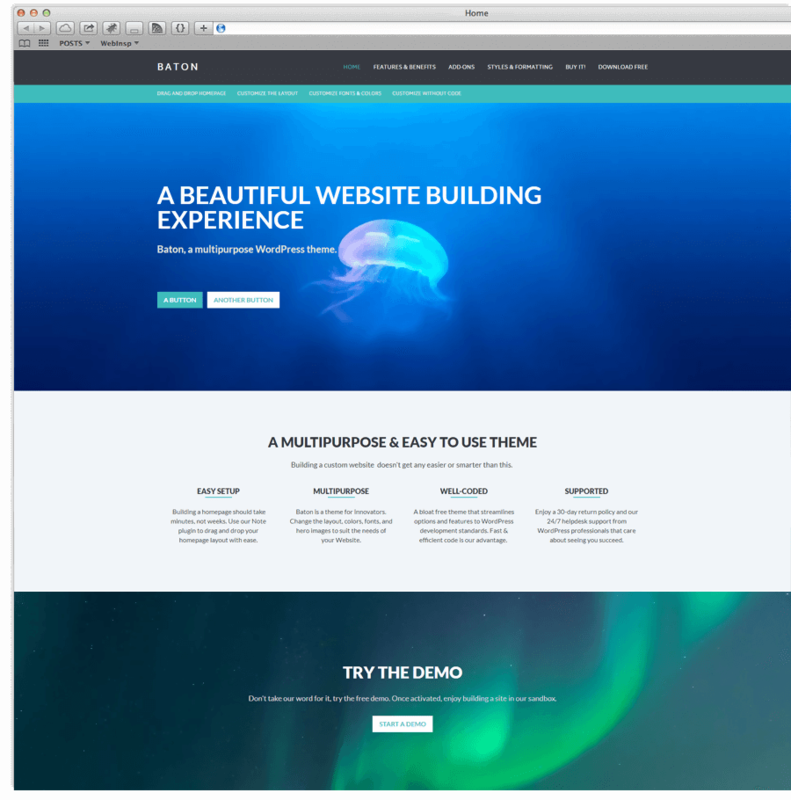 Ready to take our themes for a test drive? View our theme collection and even try them on for free.